A gold nose brings good luck. Master musicians and global movement. Noses inspired by the Horniman collection. 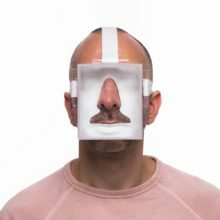 A pop-up salon which makes a false nose of your nose. Becoming the name of a park. A gold nose and moustache for Henry Wellcome. 30 days of Science Museum waste exhibited. Duckie’s clubbing spectacular on freedom of movement. Planting out the names of local people. A little theatre booth in a night market. Opera singers visit people with problems. Performance coaching for love problems. The most powerful love duet of all time. A man in a gold nose in a box in a gallery. Being an ambassador for art. Calling the public of Porto to name a street after a citizen. Art tours in fake languages. A medal for Live Art Philanthropy. A show all about the audience. 11 unique experiences in 11 unique homes. Flying planes above the gallery. Running with a moving camera. A story of unrequited love. 50 years of the ICA. Help for the citizens of Madrid. The future of the audience. Just what is it that makes a question so powerful? Showcasing the collections of Lofoten residents. Medical fact and performance fiction. How to become a work of art.